I don’t know you, but, statistically speaking, I already know a lot about you and the stuff you own. If you live in Australia, you have around 22 electrical and electronic devices in your home (more if you have kids). 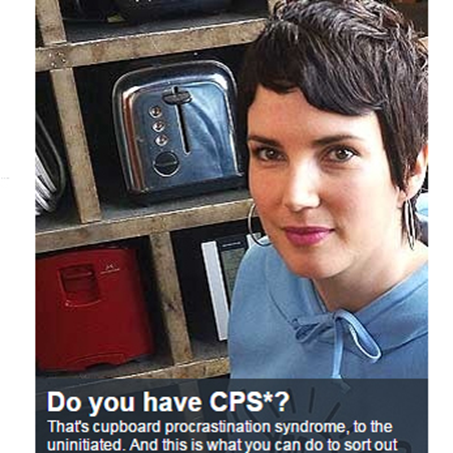 You probably have a few broken small appliances stored in a cupboard because you don’t know what to do with them. But at some point you’ll need to make room, so out they’ll go — about 20 kg of appliances for each person in your home, every year. You’re probably wondering why charities won’t take them, why your council doesn’t collect them, and why it’s so hard to find someone to repair them. Allow me to provide some insight. 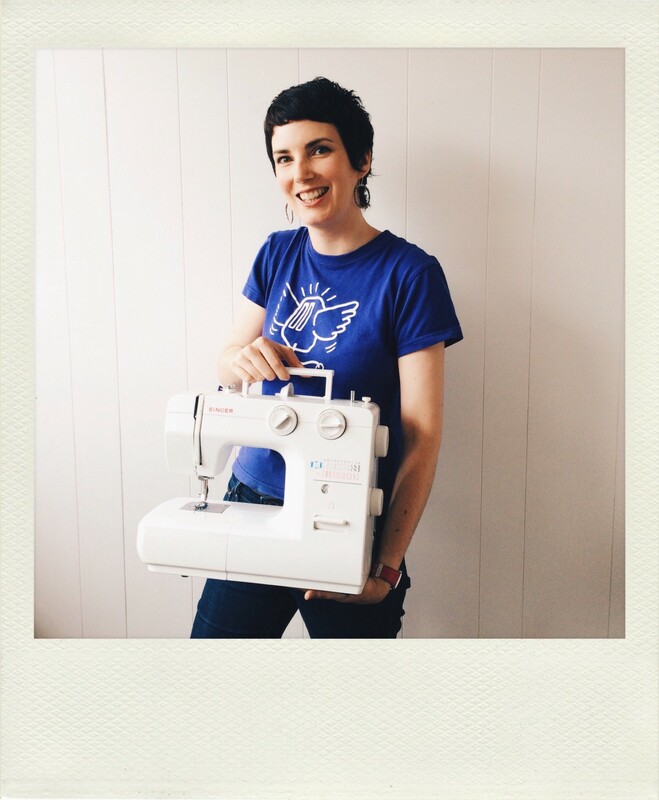 I started up a not-for-profit social enterprise called Bright Sparks to keep small electrical appliances out of landfill. We ran a pilot program from August 2015 to April 2016 in Melbourne, Australia, and the results were eye-opening. Bright Sparks was popular and loved. Even now, seven months later, people continue to email, call and bail me up in person each week, wanting to know why Bright Sparks closed and if we’re going to reopen. This is my story of what happened and what might happen next. The idea started in London, with the original Bright Sparks. I watched a video about them and got goosebumps. 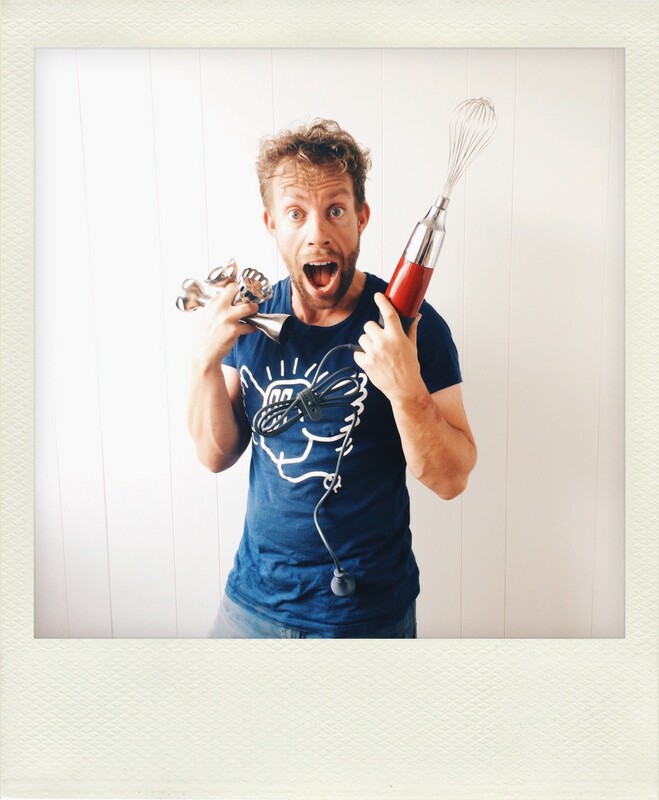 About a year later, I decided to take the plunge and start something similar in Melbourne. In 2014 I visited Bright Sparks UK and joined The Crunch, a business incubator for startup social enterprises, to develop a business plan. In 2015 we received pilot funding from the Victorian Government (through the Metropolitan Waste and Resource Recovery Fund) and five local councils — Moreland, Boroondara, Darebin, Whittlesea and Yarra. Our purpose was to provide consumers with a convenient, enticing alternative to the rubbish bin for their electrical and electronic devices. Why? 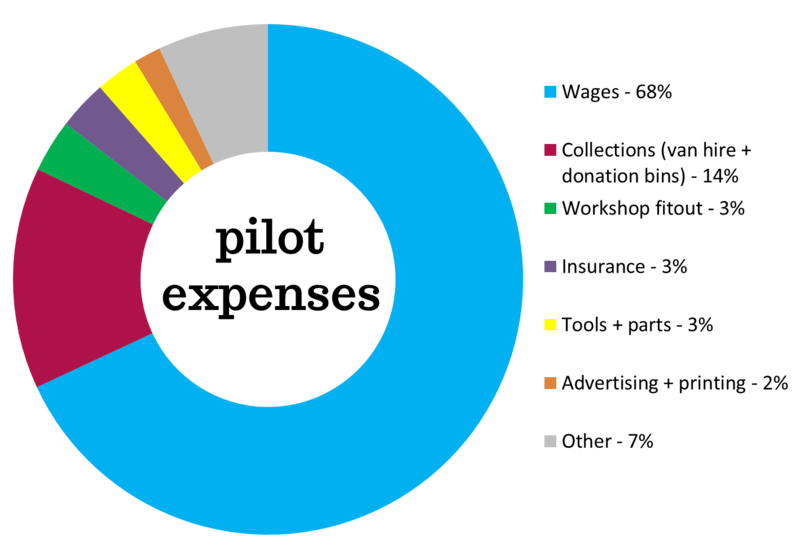 E-waste (electrical and electronic waste) is one of the fastest growing types of waste worldwide. 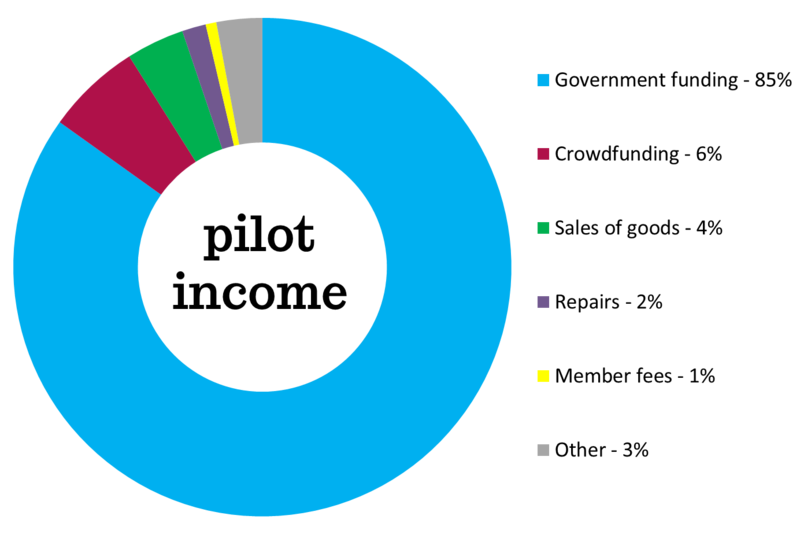 The average Australian discarded 20 kg of e-waste in 2014. It contains hazardous substances and, if sent to landfill, it can leach metals and toxic chemicals into the ground. Donate. 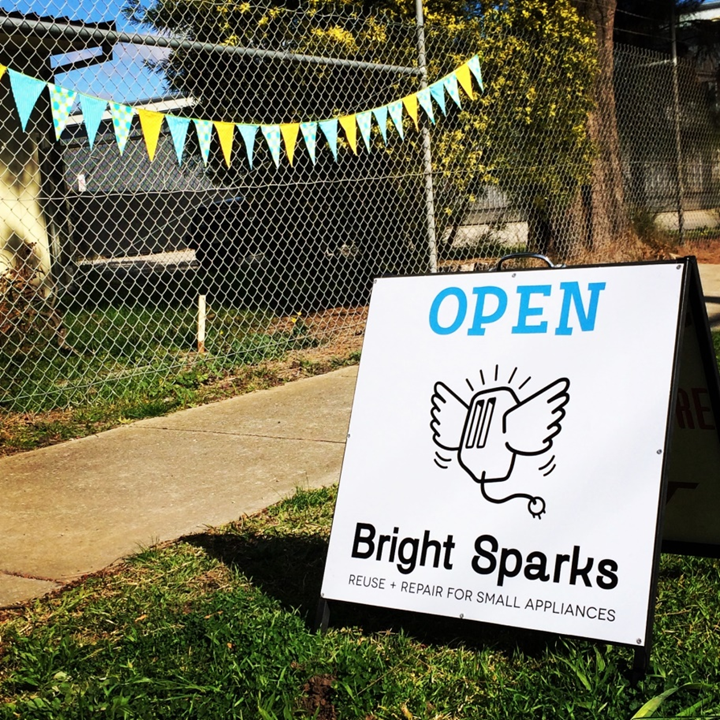 People donated their unwanted or broken appliances to us at Bright Sparks HQ or 14 donation points throughout Melbourne. Some of these items were given new life and resold or donated to people in need. Broken items were recycled. Repair. We offered a paid repair service for people who wanted their appliances fixed. Buy: We sold good-as-new kitchen appliances, household appliances and electronics. All appliances were tested for function and safety (aka ‘test and tag’). We made some assumptions before we started the pilot. We assumed repairs and appliance sales would not be enough to cover our costs, so we added another revenue stream that the UK didn’t have — an appliance collection service for councils. We assumed councils would be our main customers. Bright Sparks UK had one council customer; we had five, and we planned to increase that number every year as new councils subscribed to our collection service. We assumed we could save time by creating custom donation bins. The bins allowed people to sort their appliances by functional status: working or broken. We didn’t want to lose time determining whether items were working, so we created a separation system and gave priority to the working items. We assumed we needed a central location on a high street to be successful, somewhere inner-city and accessible by public transport. I thought I would spend one afternoon a week revamping lamps, but the only one that benefited from any of my handiwork was this guy. We assumed Bright Sparks would be so awesome that there’s no way we wouldn’t continue beyond the pilot. 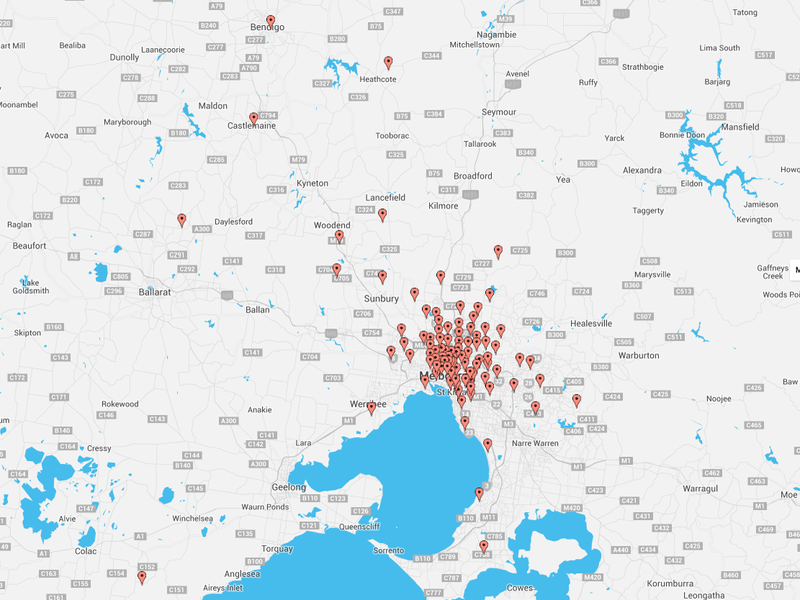 Bright Sparks HQ opened in August 2015 in Hadfield, a small northern suburb of Melbourne, in a former bus depot provided by Moreland City Council. “Where is Hadfield?” was the first question on our FAQ page. We were worried no one would visit. The first week was a whirlwind. On Monday we were featured in The Age newspaper and the story was shared 2,000+ times on Facebook. On Tuesday Bright Sparks HQ opened its doors, with people arriving before we opened and an official visit from the mayor. On Friday I was interviewed on 774 ABC Melbourne radio, and our website crashed from all the radio listeners pouncing on it at once. On Sunday we ended our successful crowdfunding campaign and I vowed to never again launch a business and a crowdfunding campaign simultaneously. Our van driver, Dan, summed it up best: he knew people would like us, but he didn’t know how much they would like us. I’ll share our final stats a bit later — what we collected, how much, etc. — but what I found far more interesting was the stuff we couldn’t quantify. Our supporters’ stories had some common themes. 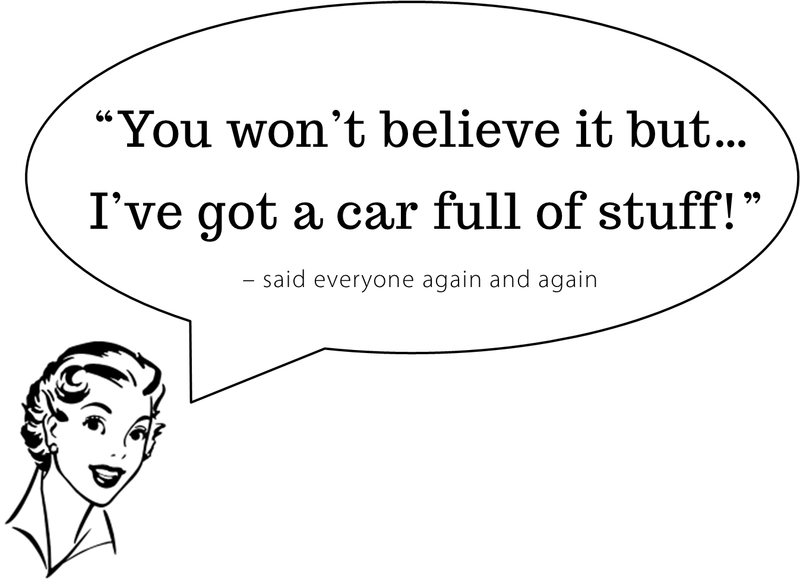 Everyone had a car full of stuff. It was rare for someone to donate just one thing. One man donated 67 items after reading about us in The Age. We were already struggling with too much stuff when he arrived, and I’d nicknamed the heap of e-waste out the back “Recycling Mountain”. 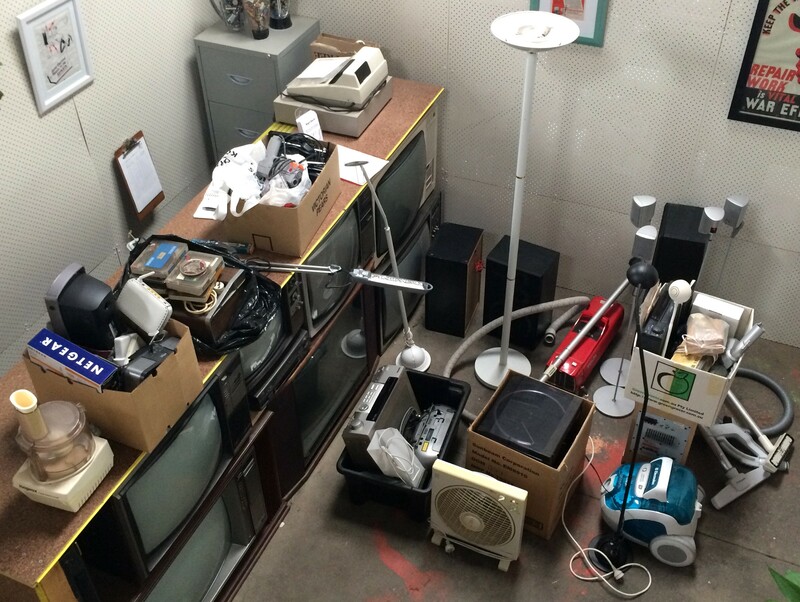 67 things donated by one person (everything but the televisions, which were part of our retail counter). Yikes. One of our biggest challenges was getting recyclers to pick up our e-waste. Most wanted to charge us money — both to process the e-waste (per kilogram) and to collect it — and those that didn’t were largely unreliable. I referred to some recyclers as “the bad boyfriends” because they wouldn’t return our calls for weeks, then would phone up out of the blue and act like nothing had happened. 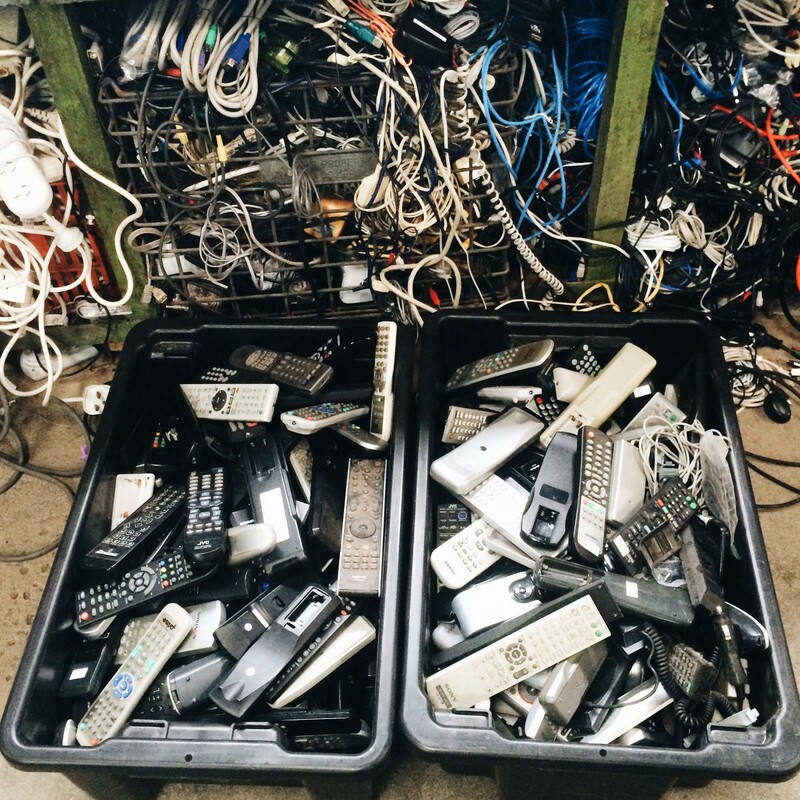 Electrical appliances are often more trouble to recycle than they’re worth, and nobody really wanted to take ours. After Mr 67 Things left and I finished freaking out, I took a deep breath and photographed the scene so I could show future people (like you) what really happened during the pilot. Then we shoved everything in our storage closet for a few months until we had time to calm down and enter it in our database. At Northcote Library, our donation bins started filling up every day by December (four months after we opened). Freak out, take a deep breath, take a photograph. Overflowing donation bins at Northcote Library. So lovely and stressful at the same time. Our business model was built on weekly collections, with a driver hiring a van and collecting from each of the 14 donation sites once a week. Now we were having to pay extra wages and van-hire fees to keep up. It seemed like every time someone shared our story on social media, the bins would fill up. 6,003 electrical items were donated to us from August 2015 to March 2016. That’s more than 14 tonnes of e-waste, and more than 15 tonnes when you include the 876 kg of items we didn’t record individually in our database — electrical cords and chargers, batteries, light globes and printer cartridges. 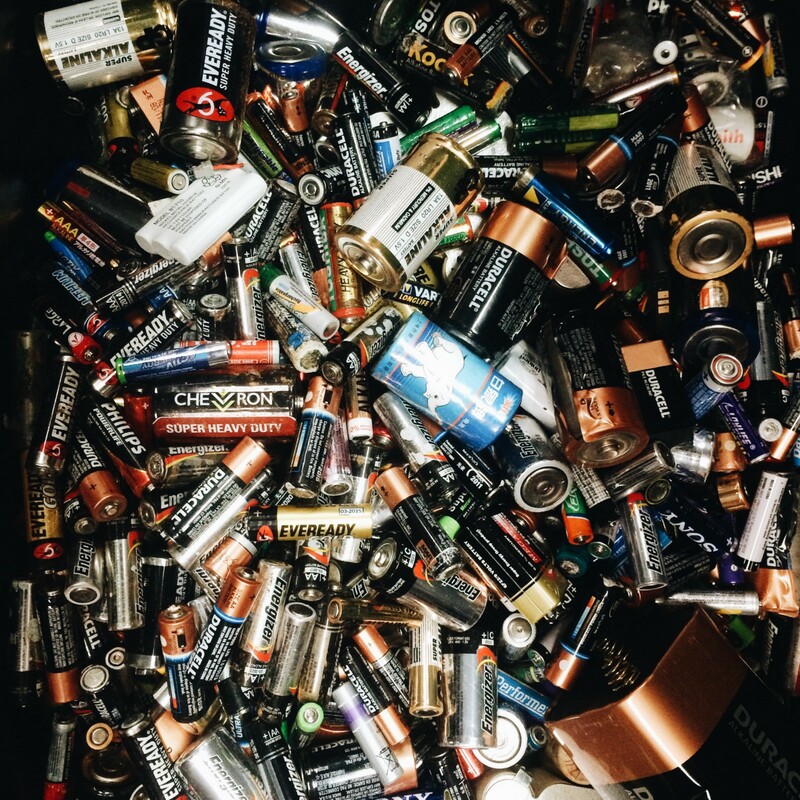 Here’s what eight months of unsolicited, donated batteries look like — more than 27 kg worth. Batteries were never promoted as a Bright Sparks donation item but they arrived anyway, either by the bag-full or inside of battery-operated devices. This is what 21 kg of remote controls looks like, in case you wondered. You can see a hint of the 836 kg of electrical cables we collected behind them. We found that a major life event was often the catalyst for donation. Downsizing, death, divorce and moving house were some of the most common reasons we heard. So many people store appliances and electrical cords in their cupboards (not just hoarders) because until Bright Sparks came along, there wasn’t a good solution to the problem. As soon as someone’s major life event occurred and they heard about us, they’d fill up their cars and head to Hadfield. A key challenge for us was managing the flow of items in and out of the workshop. Over the Christmas break we had a burglary at HQ. More than $3,000 worth of stuff was stolen, including our computer, tools and test-and-tag equipment, which meant we couldn’t enter anything in our database, complete repairs or get items ready for sale. Just when we were at our most vulnerable, the carloads of stuff came faster than ever. 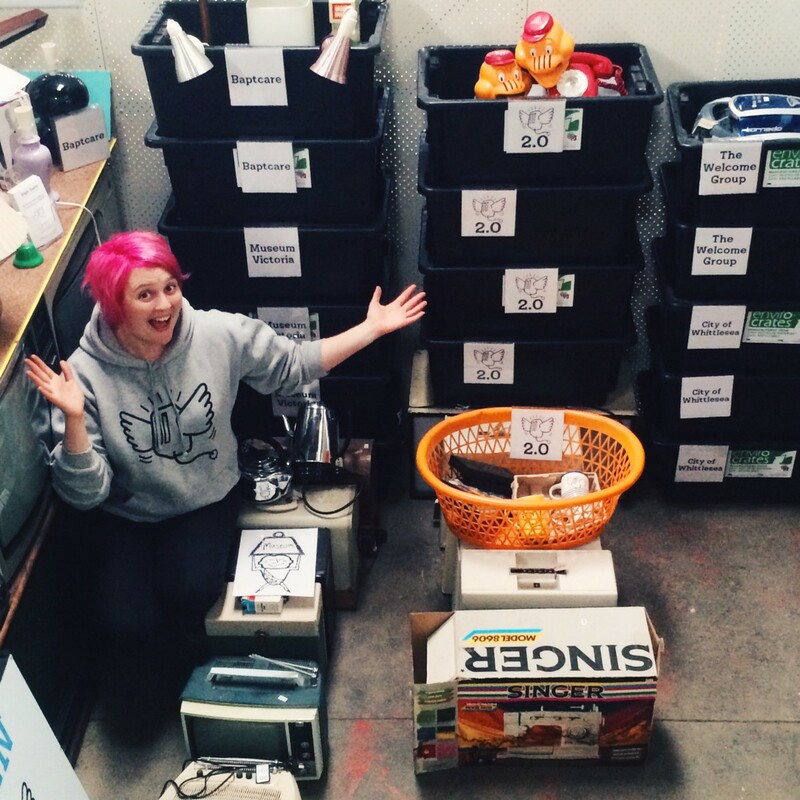 Melburnians couldn’t wait to declutter and start the New Year free from all of their stuff. We thought we had to make our service extremely convenient so people would do the right thing. Wrong. Another customer drove 125 km to get a portable heater and hairdryer repaired. 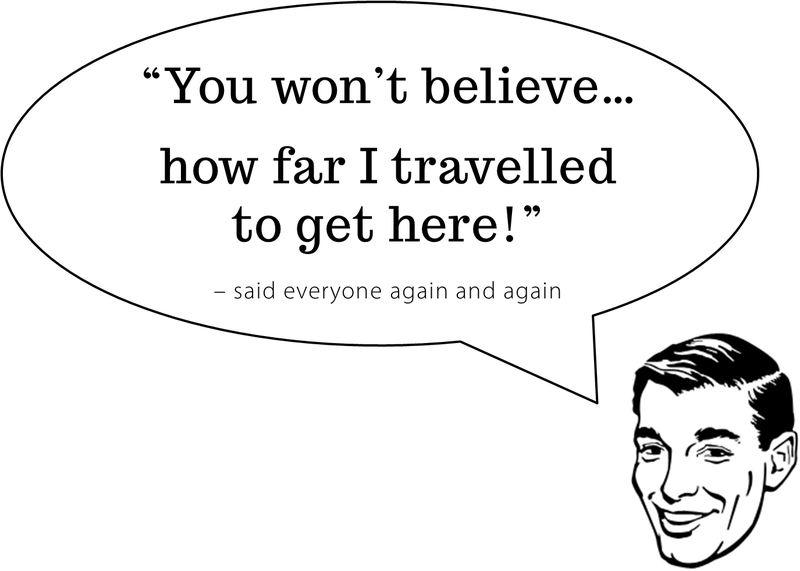 A few people drove more than two hours to visit us. 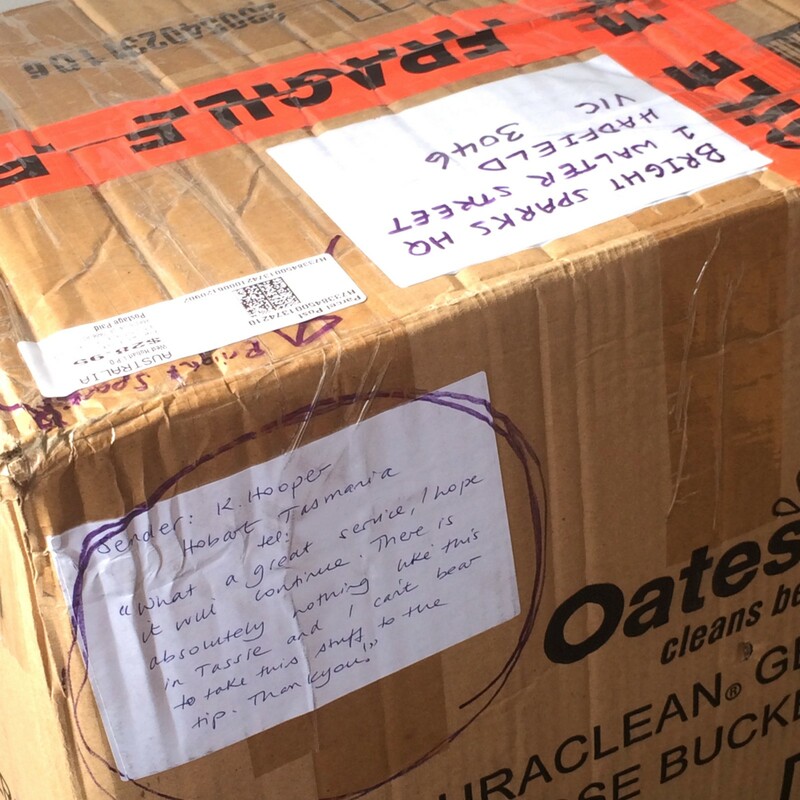 Someone paid $29 to mail us a box of donations from Hobart. I cried at the post office when I saw the note on the box. Inside were a kettle, toaster, hairdryer, set-top box, DVD player and a few cables — all nicely packaged with notes about each item. We got mail requests from Sydney, too. The things people donate to charity and the reasons why are fascinating. Giving makes us feel goooood. We like to think we’re helping someone else less fortunate. We think we can donate the things we no longer want and just keep the things that bring us joy without any negative consequences. But so much of what charities receive is not recyclable, much less reusable. 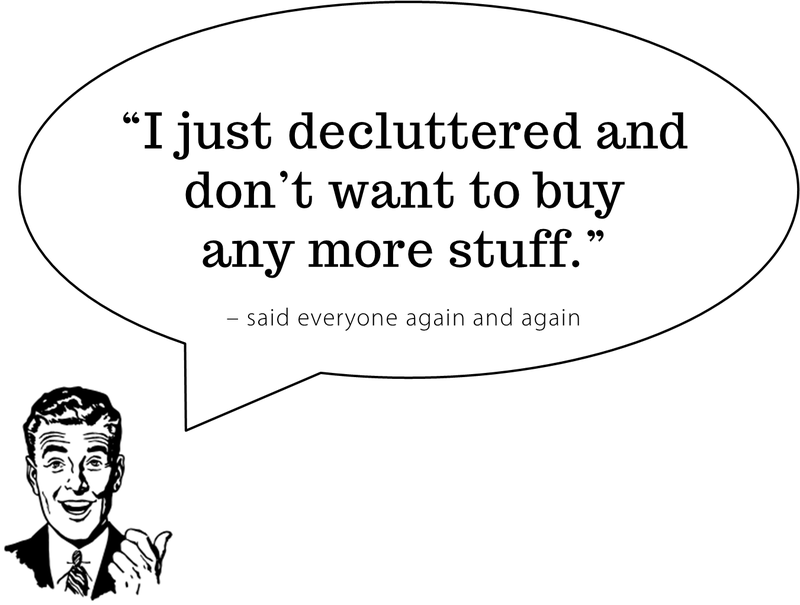 And you only see your own stuff — you don’t see what everyone else is getting rid of. You don’t see the patterns or the quantities that charities see, so you don’t realise your stuff is the same as everyone else’s stuff and how overconsumption leads to oversupply. If you no longer want something, why would someone else want it? I’m not saying you should throw things away because they’re not worthy of a charity (scary but true: there is no “away”). I want you to think about the life cycle and value of an item before you buy it. We’ve ditched our stereos for MP3 players, or we’re streaming music from our computers and phones. Netflix subscriptions have replaced our need for DVD players. If you’re thinking: “Someone who’s poor will want my old DVD player,” think again — we received 72 fully functional DVD players and sold just one. DVD players weren’t on our request list for refugees and people seeking asylum, so we didn’t give them away, either. We had heaps of plain white jaffle makers (toasted sandwich makers) toward the end, but how many could we sell, and at what cost? $5 each? After we’d invested the time in cleaning and testing them? We received quite a few notes in our donation bins. We tracked whether items were working or broken, and sometimes what our donors thought was ‘working’ was considered ‘broken’ by us. It might have been operational but something had gone wrong — e.g. a knob wouldn’t stay down or a lid wouldn’t stay put without human intervention. Donors often wanted us to save every item and make sure it found a new home, but much of what we received we were unable to sell. Popasaurus, the dinosaur who vomits popcorn! Click here to see him in action. 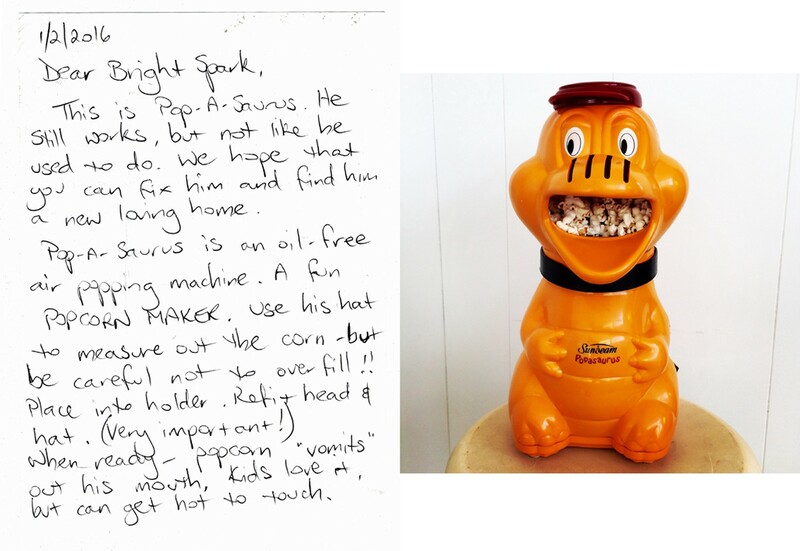 We received three Popasaurus popcorn makers but only one worked. We didn’t fix anything unless someone paid us to — all broken donations were recycled. One reason is that 2,446 of the items we received (41%) were believed to be working, and that was more than enough to keep us busy. Many people believed we were run by volunteers who would fix the things they didn’t want to get fixed. But as part of our risk-management plan we had an electrician supervising all repairs. That meant we needed to pay qualified staff, and it meant that fixing every broken thing was economically impossible. 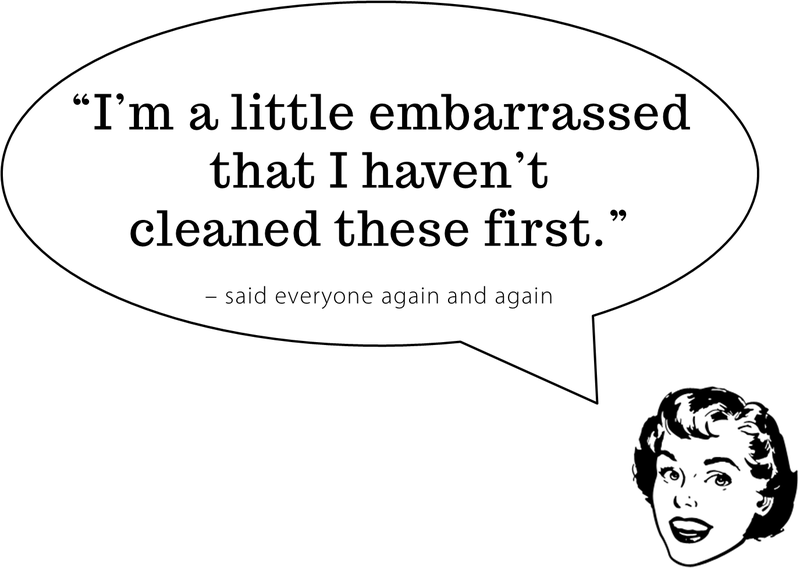 We often spent more time figuring out how to open up an appliance than we did diagnosing or repairing it. When people brought us broken stuff, we didn’t judge them over whether they donated it or paid to have it repaired. We said: “Hooray, this stuff is not going into landfill either way!” But the value judgment of repair vs recycling was often turned back on us. We spent a lot of time cleaning appliances to get them ready for sale or donation to people in need (refugees and people seeking asylum in particular). 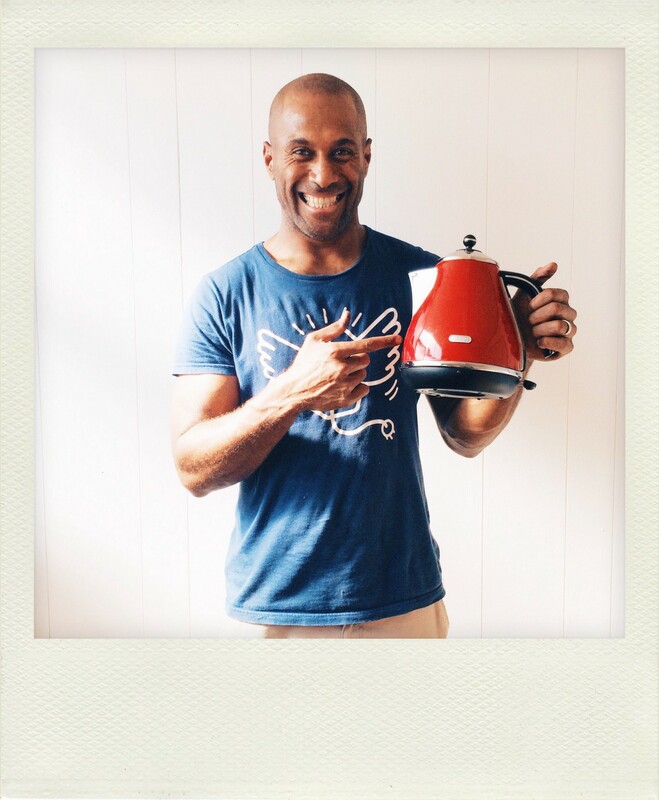 When was the last time you cleaned your kettle or microwave? Never? Most people don’t bother, but we couldn’t sell items in a shabby state so we had to clean them first. And that took time. We also had to test items for function and safety. We kept a loaf of bread in the freezer for testing toasters and popcorn kernels for testing popcorn makers. We bought rice to test the rice cookers after we learned the hard way that you can’t test rice cookers with water alone. Often what people were willing to pay for appliances did not justify the time and effort we put into them. We sold a few special items on eBay, but bidding was lower than we’d hoped — a few items sold for their starting price or not at all. 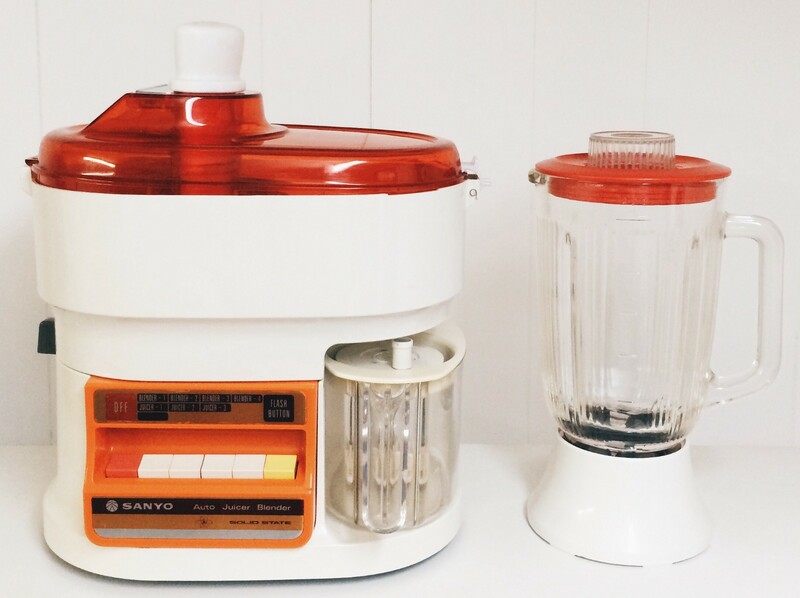 I spent a couple of hours cleaning this juicer/blender with a toothbrush, photographing it and listing it on eBay because it was such a divine vintage appliance and needed to be loved again. It sold for $15.50. 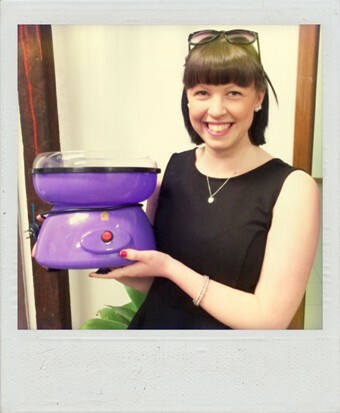 We learned that nearly everyone wanted an appliance we had at HQ (awesome! ), but they each wanted a different type of appliance, making it difficult for us to anticipate which items we should get ready for sale or who might buy them (not so awesome). We set up a customer wishlist but only granted six wishes. 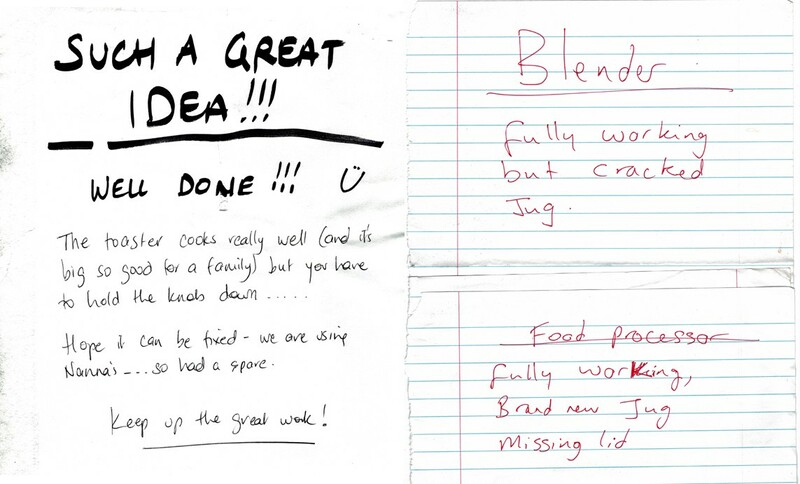 Some requests we couldn’t fulfill; sometimes customers changed their minds. 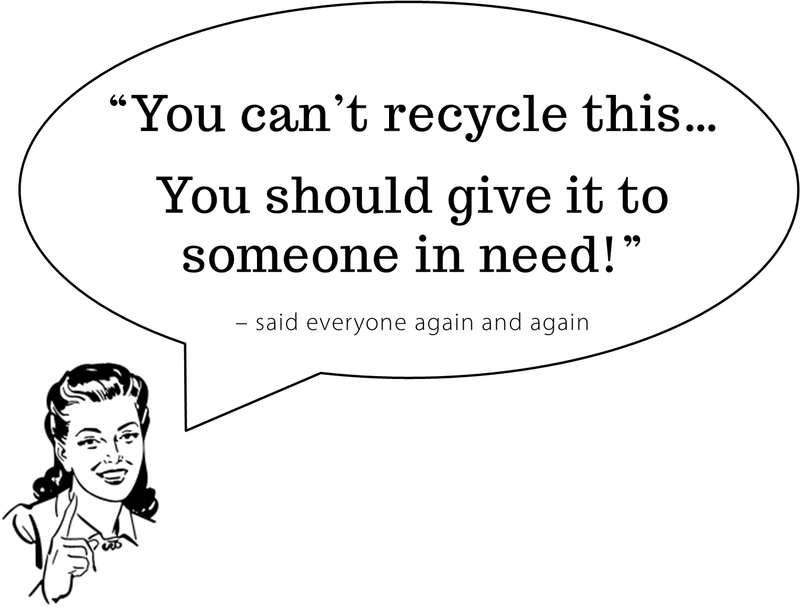 Whenever we recycled something we thought wouldn’t sell (e.g. personal cassette players, remote controls), someone would contact us the next day and want to buy one. Too late. 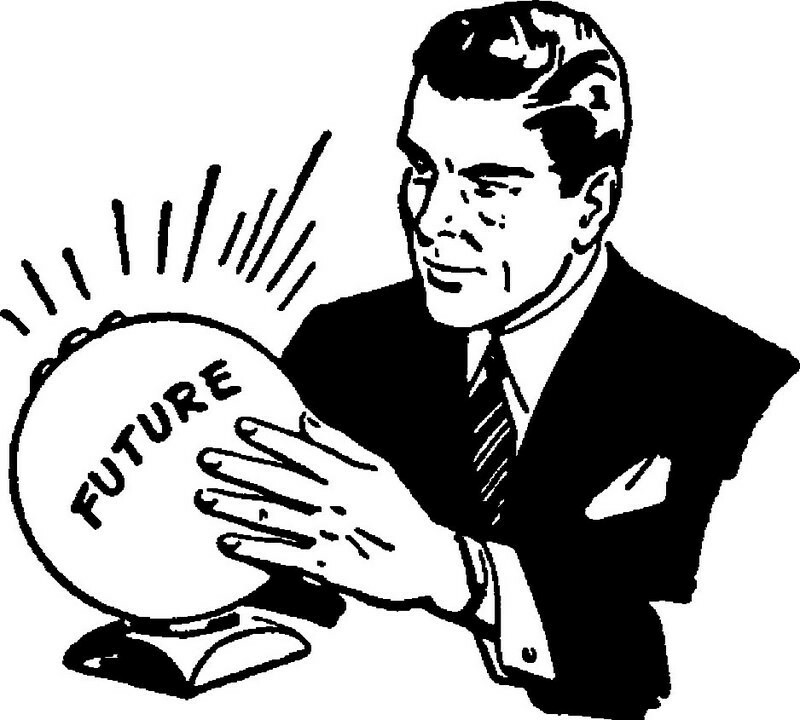 Or we’d set aside items for people and organisations who never collected, and we’d have to spend time chasing them up. Finding new homes for old appliances was hard work. We sold 398 items and donated 139, but in the end we had to recycle thousands of perfectly good appliances. Our passion and our focus was on reuse and repair, but in the end 90% of the items we received were recycled. It broke my heart when I did the calculations. We put so much effort into reuse and repair that it felt like so much more. 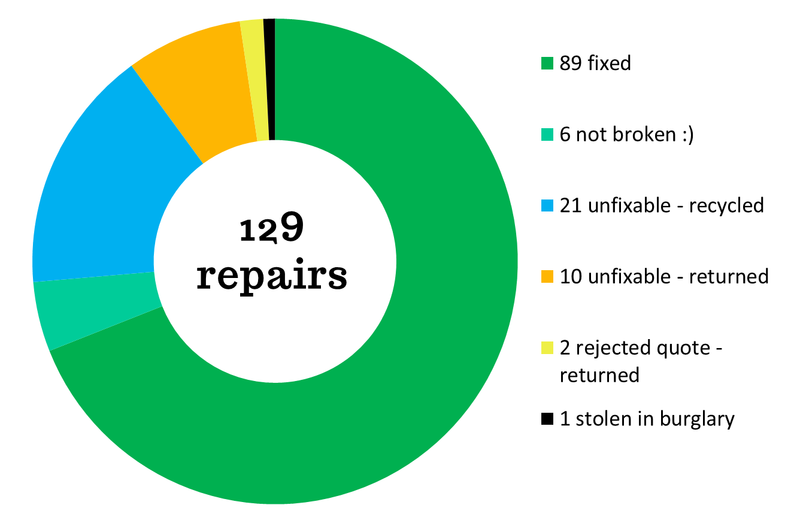 Our repair success rate was 74% (not including the six items that weren’t actually broken — yes, really). Two common barriers to repair success were broken plastic — we tried various industrial-strength glues but the repairs were never as strong as when new — and unopenable appliances. I remember a stick blender that took three of us to work out how to open, only to discover we couldn’t remove the parts we needed to repair. A lot of appliances are designed to fail and be replaced with new ones. Contrary to popular belief, repairs were not keeping us afloat. We made more money from crowdfunding than we did from sales and repair fees combined, but it’s still nowhere near what we need to keep trading. It’s also worth noting that repairs were not our main activity (even though they were my favourite activity, and what many people loved about us). We spent far more time dealing with donated appliances. It’s also worth noting that we did not have to pay rent, thanks to the building provided by Moreland City Council. Cupboard Procrastination Syndrome is real. I made up a funny term called Cupboard Procrastination Syndrome, referring to people who stored broken appliances in their cupboards because they didn’t know what to do with them. The Age ran with it. And then it seemed everyone we spoke to actually suffered from this disease I’d invented! Sales costs outweighed sales revenue. Recycling e-waste is a huge challenge. The people who loved us weren’t all paying customers. I want to emphasise the last point. People seemed to really, really love us, but they weren’t necessarily the ones paying for us to exist. It cost us money to recycle the items people donated, and in the end most items had to be recycled. We also felt like we were headed in the direction of becoming a recycler, and we didn’t want to do that. 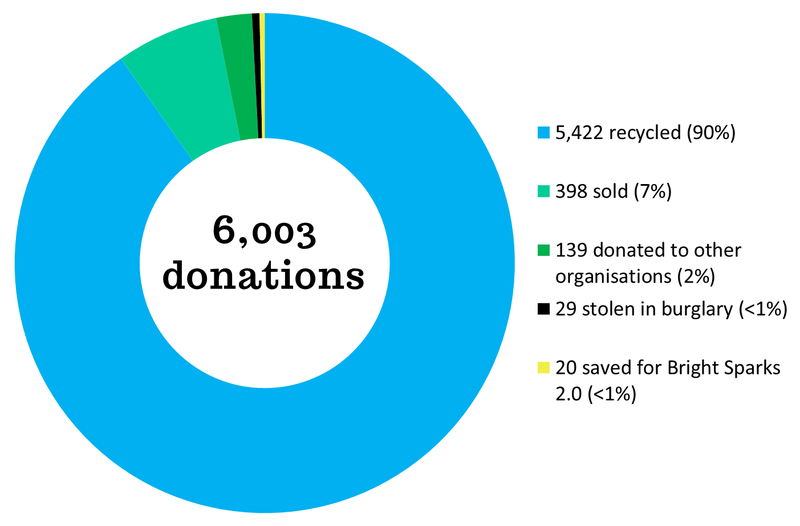 We stopped 6,132 things from ending up in landfill (6,003 donations and 129 repairs), but we hadn’t necessarily prevented new things from being purchased. In some ways our recycling service felt like it was environmentally neutral, rather than environmentally friendly. Because of the increasing, uncontrollable volume of donations we received, and our increasing costs, councils couldn’t afford to pay what was required to continue the collection service under that model. Perhaps we were ahead of our time. The Victorian Government has committed to banning e-waste from landfill, which could come into effect by late 2017. Australia’s National Television and Computer and Recycling Scheme is up for review soon, and potentially could expand to include more types of appliances. Until then, whose responsibility is it to keep this harmful stuff out of landfill? And who pays? Councils aren’t required to offer an e-waste service. When Bright Sparks HQ closed, I was a little bit sad but mostly relieved. Why? Our business model needed fixing. We didn’t have to waste years pretending everything was fine while we were struggling. I was working on Bright Sparks pretty much seven days a week; now I have time to crunch the numbers and process everything I learned. Running a pilot has opened doors and created new opportunities. I’m no longer pitching the idea of Bright Sparks; I’m telling you what it was like and what we learned. It means we can say ‘no’ to things, too, and make informed decisions based on experience. In the next phase, we’ll focus more on repairs and encouraging people to repair and love the stuff they own. We’ll repair more types of things (not just appliances) and offer repair classes (non-electrical) to teach people new skills. Fees for our repair service will increase — in line with customer feedback — ensuring we can pay repair staff appropriately for their time and expertise. If we do offer recycling in future, it will not be free. We’ll begin charging a recycling fee (possibly around $5 per item), regardless of whether it’s working or broken. E-waste will no longer be accepted as a ‘donation’. We’ll spend less time on sales and focus more on the hiring of appliances — generating income from the same items multiple times. This will reduce the time we spend cleaning, testing and promoting items for sale. We won’t donate appliances to people in need unless that activity (sorting, cleaning, testing and coordinating with charity partners) is funded, e.g. by a grant or a corporate sponsor, and we can hire a coordinator to run it. 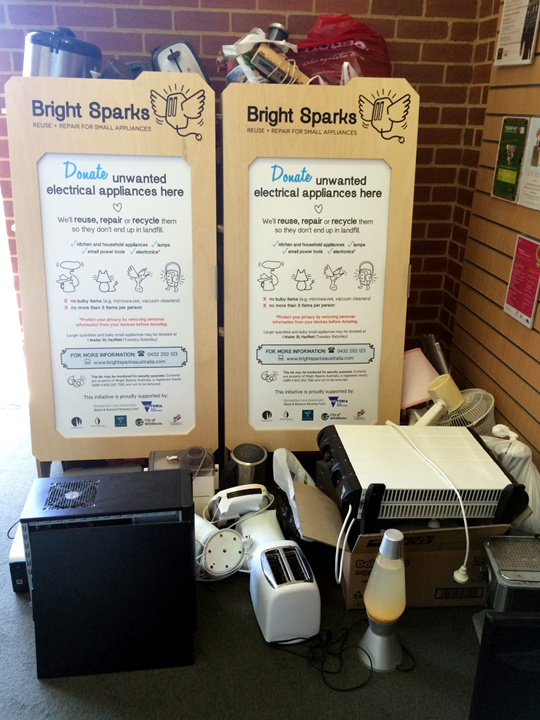 Recycling customers would need to drop off unwanted items at Bright Sparks HQ and pay a recycling fee for each item. Our strengths are communication and engagement, so potentially we could work with others (e.g. councils and businesses) to raise awareness of their e-waste collection services. The vision for Bright Sparks 2.0 is a magic place called Tinker Town — a repair, reuse and replay centre. “Mayor of Tinker Town” has a nice ring to it, don’t you think? Repair Town, a one-stop shop where you could get just about anything repaired — electrical appliances, shoes, clothing, bicycles, furniture, etc. 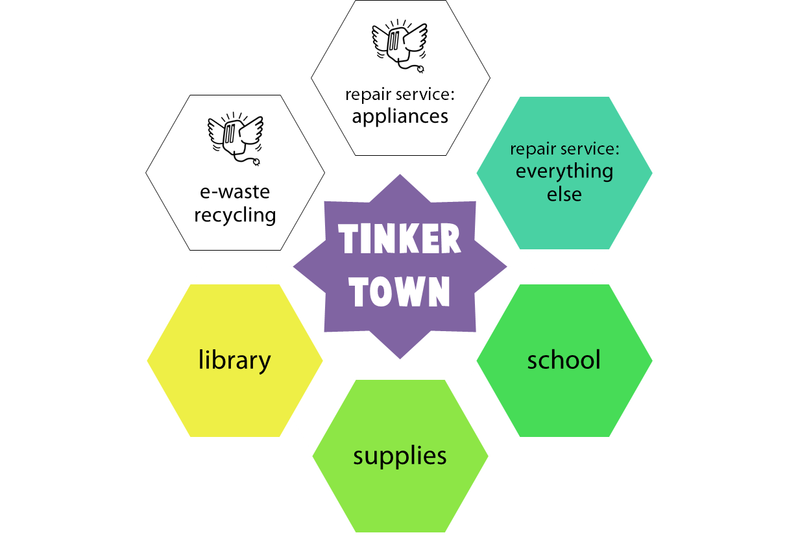 We’re considering a bunch of other activities (and tenants), too — including a café, re-maker space and gift shop for upcycled goods — while being mindful that we want each activity to cover its own costs, as well as contribute to the running costs of Tinker Town. If a corporate partner is interested in funding an extra activity, e.g. donating appliances to people in need, then we can add that into the business model. We’re on the hunt for somewhere that’s low or no cost for 3–5 years. We’d like 800 square metres, but we can work with more or less for the right space and opportunity. Finding a space is the top priority because the size, layout and location will determine what activities can take place. Technically speaking we don’t even need a building — we could assemble Tinker Town from the ground up, using shipping containers or other second-hand materials. The most important factors are the multi-year commitment and cost — we need time to build our revenue and find out what works, and we simply cannot afford commercial rent. I’m particularly interested in empty buildings in Docklands because I would love so much to fix Docklands (yes!) and help make it a place that people want to visit. If Bright Sparks 1.0 had too many people and too much enthusiasm, why not take that to a place that could benefit from it? Grants and philanthropic funds for early-stage social enterprises are difficult to come by, and major funding for environmental social enterprises even moreso. (I could write a whole article just on this topic.) Crowdfunding can be fantastic but would likely raise only a fraction of what we would need to start up again. If you’d like to make a donation to Bright Sparks (we’re a registered charity), you can do so here. If you work for a company that might be interested in partnering with Bright Sparks, get in touch! We get many lovely offers for help; what’s most useful is someone with a specific skillset and initiative who rolls up his or her sleeves and gets started. This could be as simple as keeping an eye out for spaces and major funding opportunities. Or maybe you’d like to analyse all the amazing, comprehensive data we collected. If your particular super power is business development or fundraising, I’d encourage you to apply for a position on our board. Contact me if you’d like to know more and have an idea for how you might contribute. If your appliances are broken, get them repaired. Buy only what you need and the best you can afford. Do your research first, via Choice if you’re in Australia, Consumer Reports if you’re in the United States and Which? if you’re in the United Kingdom. Buy second-hand appliances if you can. You’ll save energy and resources and avoid all the excess packaging that comes with new ones (cardboard, plastic, foam, twist ties, etc.). Choose metal appliances over plastic ones. Metal is more recyclable; plastic covers often contain toxic flame retardants and the plastic can only be downcycled in the best-case scenario. Fight the temptation to upgrade your electrical and electronic devices for as long as possible. Postponing software upgrades for your mobile phone can save battery life, too. Don’t buy electrical appliances as gifts, unless you’re certain they’ll be loved and used.